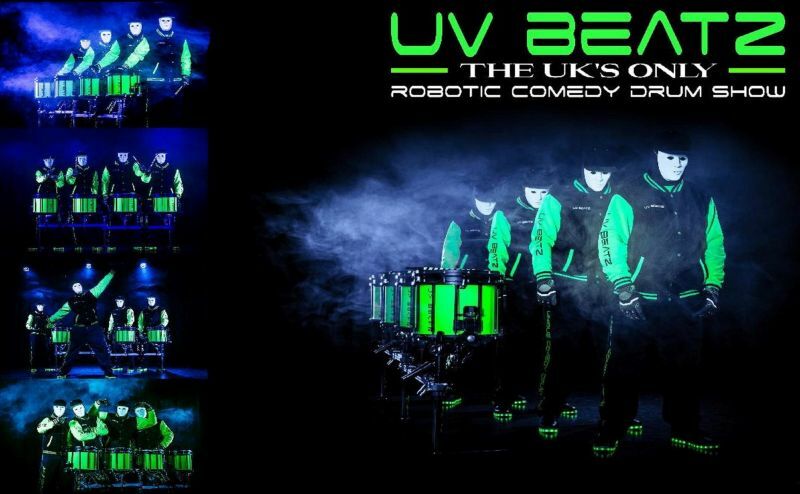 Join us in the Family Room on Friday 30th March 2018 for The UK'S ONLY Robotic Comedy Drum Show - UV Beatz. Plus crazy games, dances with the DinoM8s and a special appearance from Grunty the Dinosaur. Don't forget its also UV Party (Glow in the Dark) - Ask the DinoM8s for some UV Face Paint.